New home with an ocean view in the heart of Carlsbad completed summer of 2018! 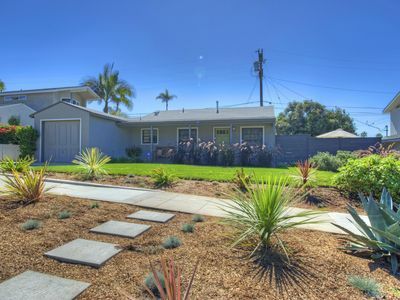 Steps away from Carlsbad State Beach and the downtown Village area with the best of restaurants shops, taverns are all in walking distance from this beautiful modern home. 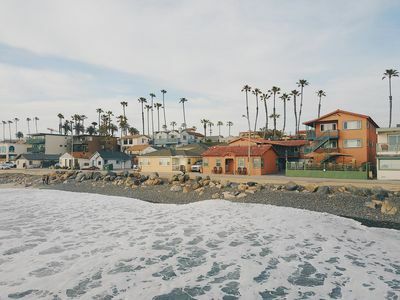 Start your day with a walk along the popular Carlsbad seawall path then head to the local coffee shops in the village before you spend the rest of your day at the beach. 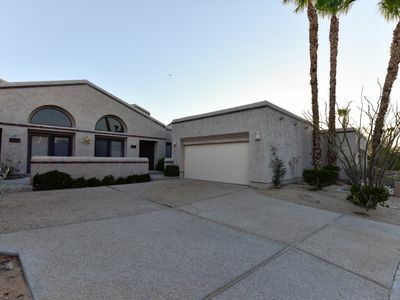 The home features 3 bedrooms, 3 baths and offers great indoor and outdoor entertaining spaces for guests to enjoy. 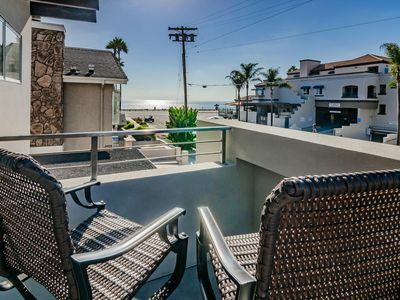 The front patio has views of Carlsbad State Beach with plenty of seating for year-round enjoyment, a gas BBQ, a fireplace to enjoy on cool nights and LED mood lighting. 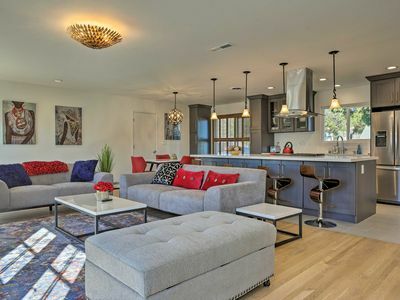 The open concept living room has a spacious seating area with a deluxe entertainment center with a 4K TV and surround sound system, an eat-in kitchen island and dining area. 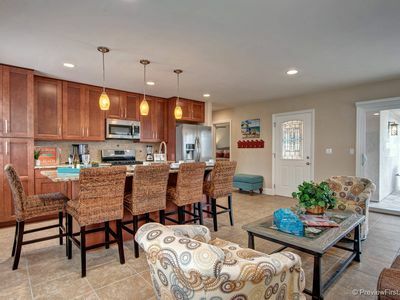 Enjoy the gourmet kitchen with views of the outdoor space. The brand new cooks kitchen has beautiful synthetic stone counter tops, custom cabinets and equipped with stainless steel appliances. The dining table comfortably seats 6 with great views from the large sliding glass door opening to the patio. 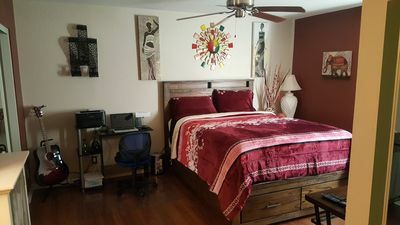 Two bedrooms located on the first floor. Bedroom 1 includes a queen bed, air conditioning unit, 4K TV, closet space and a bathroom with walk-in shower. Bedroom 2 includes a queen bed, 4K TV, closet space and a bathroom with shower/tub combo. 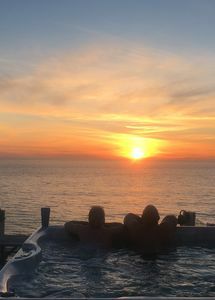 The master bedroom suite has its own private floor with king sized bed, air conditioning unit, 4K TV, walk-in closet with custom storage and a private balcony with an unbelievable view of the ocean and direct sunset views from October through March. Relax in the ensuite bathroom with a soaking tub, large walk-in shower and his & her sinks. 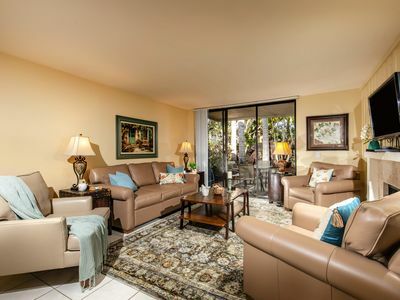 The unit comes complete with all household supplies, linens, towels, beach toys and accessories. 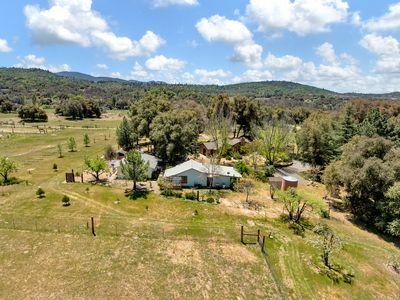 Parking available for guests in the private driveway and plenty of public street parking. Laundry room on first floor with front-load washer/dryer. Private outdoor shower for guest use. 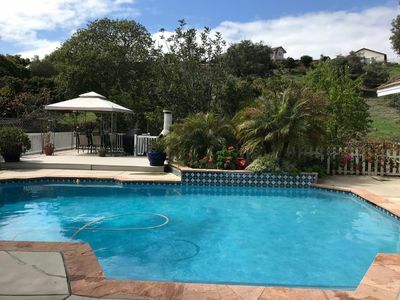 The property has easy access to major highways with close proximity to attractions such as LEGOLAND, La Costa Resort and Spa and the Carlsbad Flower Fields. 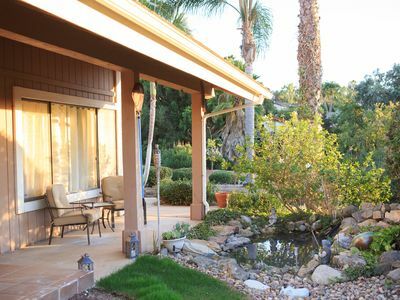 Trips to Oceanside Harbor, unspoiled Encinitas and Solana Beach, Del Mar Race Track and County Fairgrounds or stunning Torrey Pines State Reserve and Torrey Pines Golf Course are a short drive away. 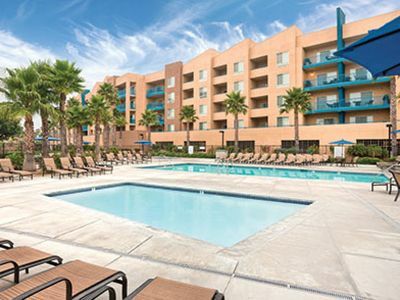 Its also an easy day trip to other San Diego favorites such as Sea World, historic Old Towne, the San Diego Zoo or Safari Park, Petco Park and the Downtown Gaslamp District. 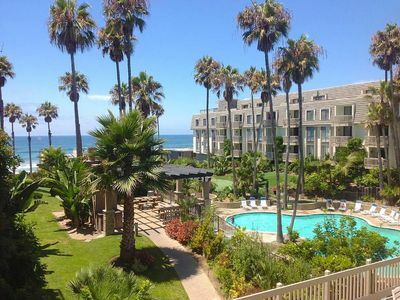 Gorgeous, 2BR Luxury Beach Cottage with Remodeled Bathrooms~Patio & Yard! Tranquil Hip Indoor/Oudoor Living. Just Blocks from Sand. 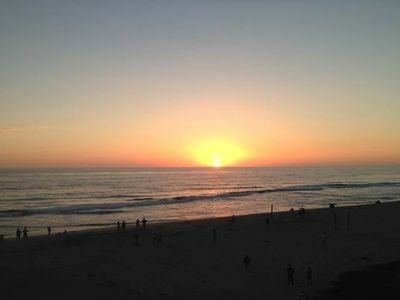 Studio on the Beach in Carlsbad! 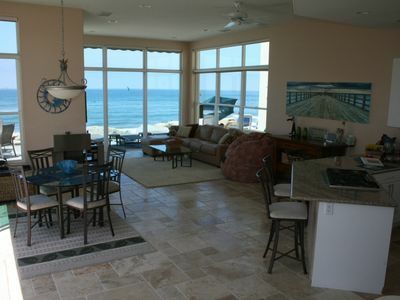 GORGEOUS & SPACIOUS FRONT OCEAN VIEW 2-KING BEDROOMS, LG DECK SLEEPS 6! 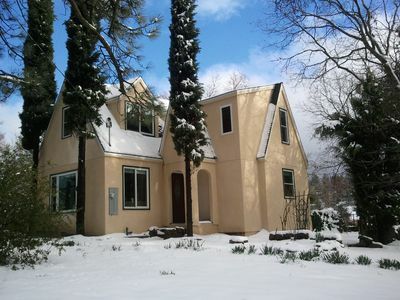 Great family home, sleeps 12+, minutes from beach and other family attractions. NEW! 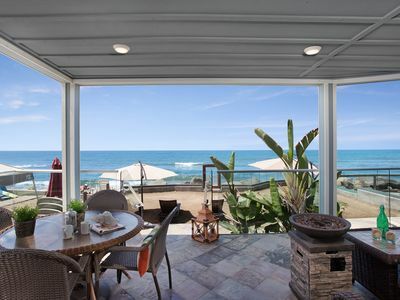 Beautiful Oceanside Home - Walk to Beach!